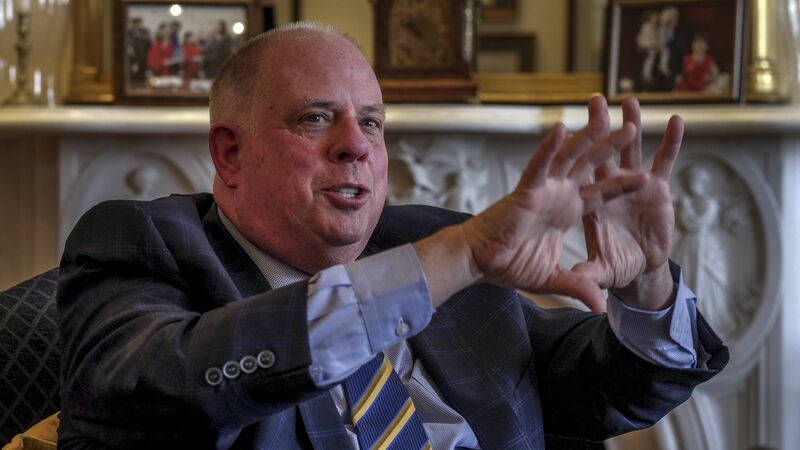 Larry Hogan: Can we "just get back to being Americans?" Maryland Gov. Larry Hogan is set to deliver the keynote address at Monday night's Toner Prize Celebration — in memory of Robin Toner, the first woman to serve as national political correspondent of The New York Times. What he'll say: "Our nation would be so much better off without all the bitter and angry politics. And if we could all just get back to being Americans once again." "For our elected officials, that means putting the people’s priorities ahead of partisan interests." "For members of the media, that means being a little more like Robin Toner and never losing sight of how your work affects people’s everyday lives." "Now more than ever, it means not being beholden to headlines or ratings, and instead just practicing the tenets of good journalism — following a lead, gathering the facts, and shedding light on the truth."